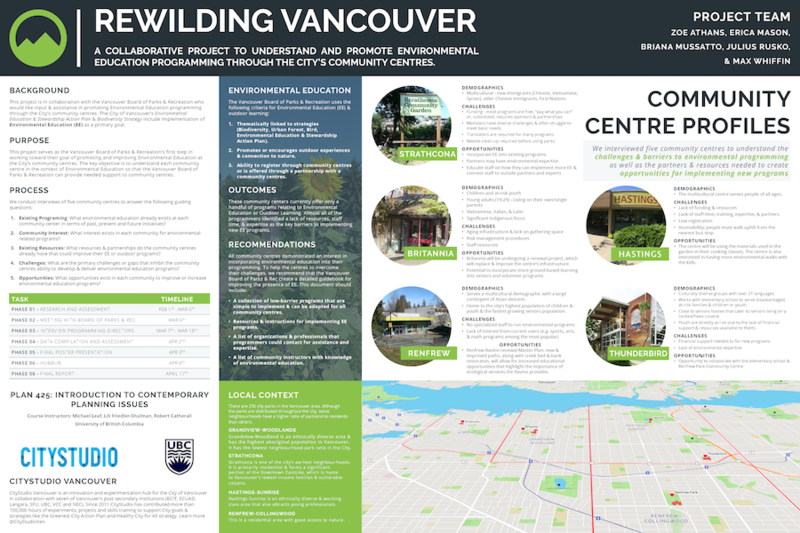 This project was in collaboration with the Vancouver Board of Parks & Recreation which was looking for input & assistance in promoting Environmental Education programming through the city’s community centres. The City of Vancouver’s Environmental Education & Stewardship Action Plan & Biodiversity Strategy include implementation of Environmental Education (EE) as a primary goal. We conducted interviews of five community centre. 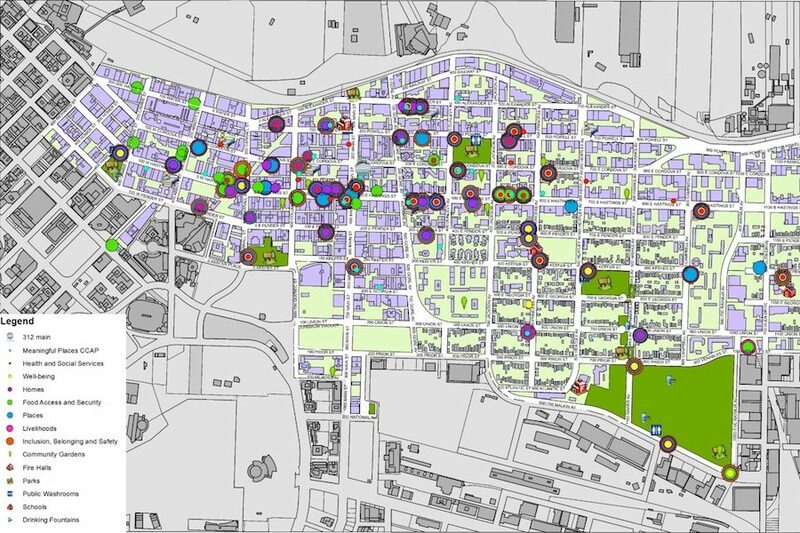 We found that these community centers currently offer only a handful of programs relating to Environmental Education or Outdoor Learning. Almost all of the programmers identified a lack of resources, staff time, & expertise as the key barriers to implementing new EE programs. 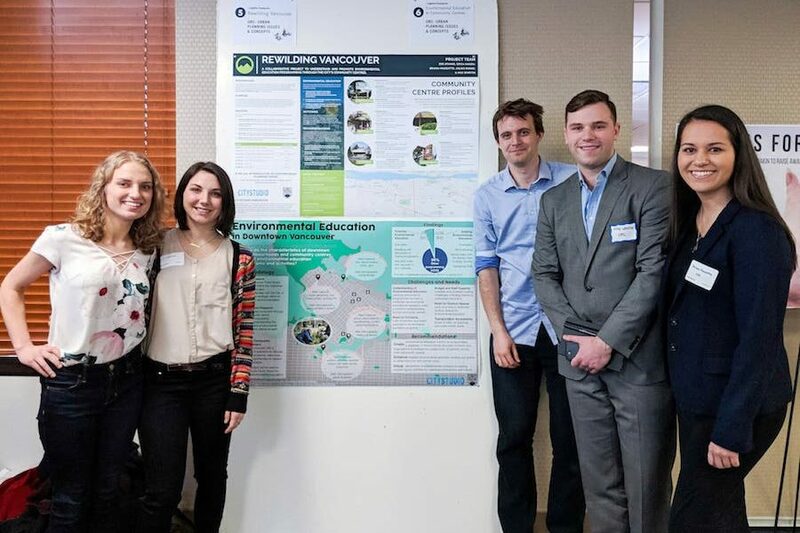 This project served as the Vancouver Board of Parks & Recreation’s first step in working toward their goal of promoting and improving Environmental Education at the City’s community centres. 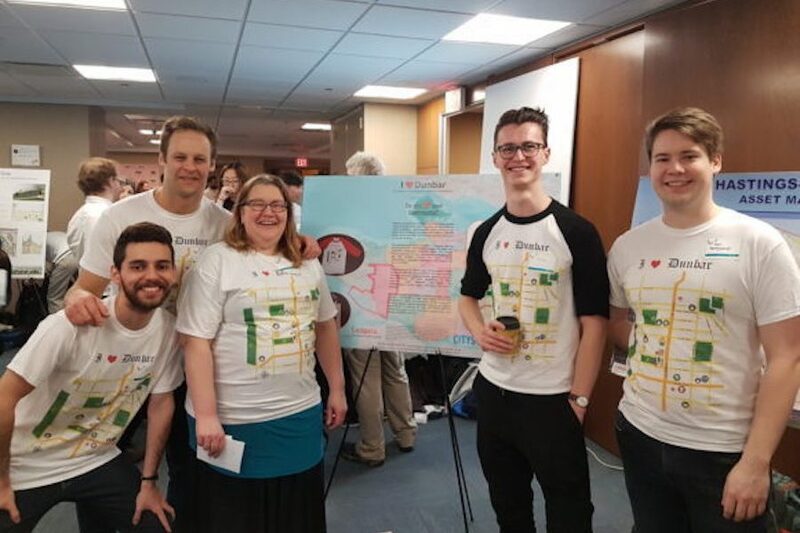 The key objective was to understand each community centre in the context of Environmental Education so that the Vancouver Board of Parks & Recreation can provide needed support to community centres.